Software options for WCDMA, WiMAX and LTE applications. MS269XA Series Signal Analyzers are the very latest high performance signal analyzers for next-generation communication applications. The MS269XA Series Signal Analyzers base units include swept spectrum analysis, FFT signal analysis, and a precision digitizer function. 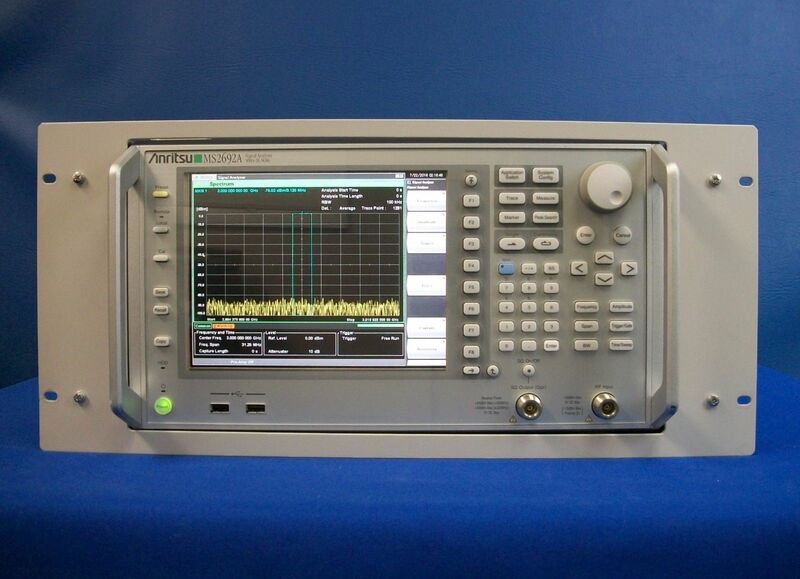 Add options to incorporate a Signal Generator, and/or an RNC Simulator, to turn the instrument into a hassle free, plug and play, one box solution.The MS269XA Series Signal Analyzers support a standard measurement analysis bandwidth of 31.25 MHz that can be extended to 125 MHz with the appropriate optional hardware. Using a patented calibration process, the multipoint amplitude calibration and the phase calibration result in a level accuracy of ±0.5 dB across a 6 GHz span.